Step1: Put a base coat on your, dry, clean nails. I used Butter London Nail Foundation. *TIP: Apply a bit of rubbing alcohol to your clean nails before any polish to remove any surface oil/residue to reduce chipping and prolong your manicure's life. Step2: Apply one thin coat of your base colour. I used Orly- Jealous Much? 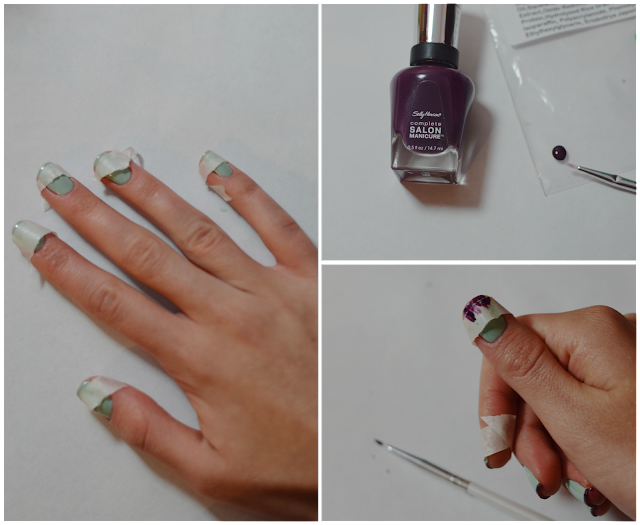 Use a wooden manicure stick to clean around the edges of the nail. Wait for the first coat to dry (2 mins) and follow up with one or two more thin coats of polish, depending on the polish pigmentation. Thick coats will require YEARS to dry. Now, you're free to laugh at how hack these next two steps look. I tried using masking tape.. and lets just say that I should start using scissors. Or proper nail tape. Step3: Once your base colour has fully dried (I would recommend two hours), apply your tape to your desired width of tip. Step4:Using a small nail art brush, paint *from tape, to tip! * Painting from tip to tape or along the tape line can cause the polish to bleed under the tape and create an uneven line. Try to make this layer of paint as thin as possible. Step5: Remove tape (after 2 mins) and let your tips dry for at least 10 more minutes, if possible. 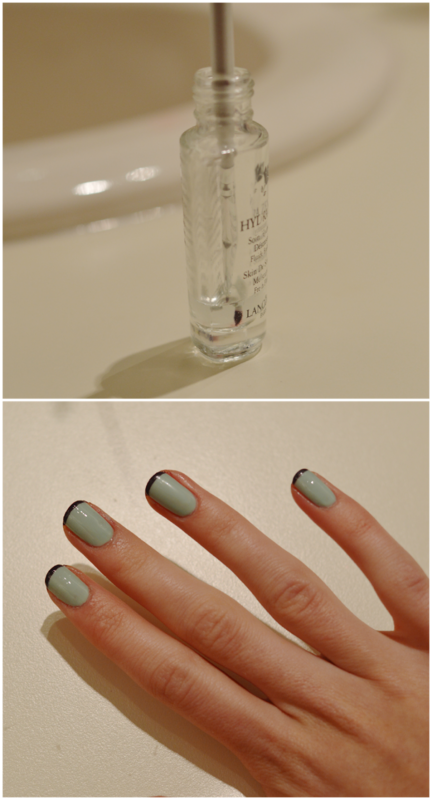 Applying a top coat right away will cause your tip colour to drag across the base colour and create streaks. Remember to avoid this streaking buy applying your top coat quickly, without making too many brush strokes. Step6: Nail polish remover will not remove the polish from your nail brush. Instead, use nail polish thinner. I use OPI and all I do is put a few drops into an empty glass bottle and let the bristles soak for a few seconds, then wipe off the brush. It works like a dream! I used Butter London Hardware top coat. I hope this quick demo helps if you are planning on trying the trendy inverted French manicure.